Once a pest has reached either an economic threshold, or intolerable level, action should be taken. Pesticides are used as a control measure when other strategies will not bring the pest population under the threshold, when other strategies are too expensive or time-consuming, or when the quality or yield effects are unacceptable to the grower. In fact, the success of waiting until a pest reaches threshold usually hinges on the availability of a pesticide that will bring the pest populations down quickly. Cultural Controls are those that disrupt the environment of the pest, and/or prevent its movement. 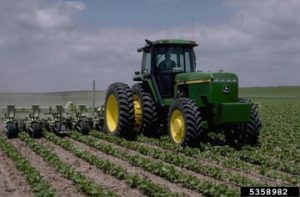 Plowing, crop rotation, removal of infected plant material, cleaning of greenhouse and tillage equipment, and effective manure management are all cultural practices that are employed to deprive pests of a comfortable habitat or prevent their spread. The management of urban and industrial pests has improved with proper sanitation and elimination of pest harborages, more frequent garbage pickup, or installation of lights that do not attract insects. Rotate crops to reduce the buildup of weeds, disease, and insect pests. Crop rotation is useful for those pests that do not move far from their overwintering sites. Remove overwintering sites, such as cull piles, damaged, and volunteer plants, and alternate hosts, to minimize damage by insects and diseases. 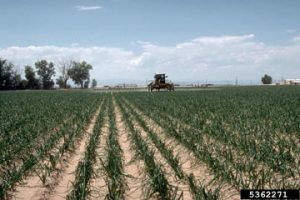 Use techniques that expose pests to natural enemies or environmental stress, or that make the crop less susceptible to insects or diseases. Adjust planting times to avoid periods of peak pest abundance. Plant disease-free seed and transplants. Promote vigorous crop growth with proper nutrition and weed removal to avoid stress that may weaken crops and make them more susceptible to attack by insects, diseases, or physiological disorders. Manage irrigation schedules to avoid long periods of high relative humidity. Wet, highly humid conditions encourage disease pests to develop. Arrange fields for the best air drainage and circulation to promote low humidity. Where crops are planted in rows use cultivation, where practical, in combination with banding of herbicides over the row for weed control. This could reduce herbicide costs while achieving good weed control. Physical Barriers such as netting over small fruits and screening in greenhouses can prevent insects that cause crop loss, and mulch can inhibit weed germination beneath desirable plants. Physical barriers are important in termite, house fly, and rodent control. Biological Controls — conserving or releasing natural enemies (biological control agents) can prevent the rise of certain pests. 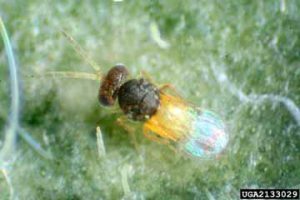 Examples of biological control agents are beneficial mites that feed on mite pests in orchards, the milky spore disease that kills harmful soil grubs, and Encarsia formosa, a wasp that parasitizes the greenhouse whitefly. Many biological control agents are commercially available. Purchasing and releasing predators and parasites of pests, if available, can be effective in reducing pest populations. Develop refuges for natural enemies of the pest by establishing areas of flowering plants and shrubs to supply nectar, alternative hosts , and shelter. Choose and use pesticides wisely so you can conserve indigenous or released natural enemies of insect and mite pests. Pheromones (natural insect scents) can be used in pest management. Sometimes a manufactured “copy” of the pheromone that a female insect emits to attract mates can be used to confuse males and prevent mating. This technique is used in curbing damage from many different species pest species, such as the oriental fruit moth, codling moth, the grape berry moth pink bollworm, tomato pinworm. Pest-resistant cultivars are less susceptible than other varieties to certain insects and diseases. 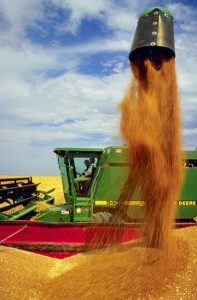 Planting disease resistant crops is one of the simplest methods of reducing disease management actions during the growing season. Use of resistant varieties often means that growers do not need to apply as many pesticides as with susceptible varieties. Potato growers control the golden nematode by planting resistant cultivars. Apple growers can save up to eight fungicide applications a year by growing Liberty and Freedom cultivars, which resist diseases. Farmers growing alfalfa and wheat keep several pests at bay by planting resistant varieties. Use pesticides when monitoring, economic thresholds, or disease forecasts indicate a need. Select pesticides according to efficacy, previous use patterns, the potential for and incidence of resistance, and the possible impact on the environment and natural enemies. Be certain to achieve uniform spray coverage with your equipment, applying recommended spray rates with accurately calibrated equipment which targets the pest, or crop surfaces to be protected. Visit other sections of the PES site to learn about proper stewardship concerning pesticide use. Structural Modifications, such as preventing support timbers from contacting soil, can help prevent damage from several different wood destroying pests. Wood absorbs moisture and is more susceptible to attack by carpenter ants and termites when in direct contact with the soil. Construction Site Sanitation, such as removing tree stumps and lumber scraps from construction sites, which are prime food sources for subterranean termites, can prevent problems in the future. Introduction to IPM — Find out what IPM is. Monitoring — Regular checks help manage pests. Assessment — Learn how problems are measured and predicted. Taking Action — Find out what control alternatives are. IPM Links — Web links to IPM sites.